New Delhi: Yahoo Cricket has amped up the fun this cricket season. It will keep users connected to all the action both on and off the field, through immersive content and experiences. The Yahoo Cricket App, refreshed in October 2017, has launched new feature upgrades just in time for the T20 action. Alongside lightning fast scores (try it!) and crisp match info, cricket fans can now dive deeper into player profiles and rankings, besides easy access to news listings, without leaving the app. Other popular features include Moments you Missed, Ball in Play (view the bowler’s steps as he starts his run-up until he delivers the ball) and Fan Shout (take a live poll and find out whether other fans agree with you!). The easy-to-use interface and features have struck a chord, with users giving the app a 4.49 star rating on Google Play. In less than four months of the refresh, the Yahoo Cricket app touched 1.5 million downloads on Android. Fans can download the Yahoo Cricket app on iOS and Android. The app now also offers scores in 7 different regional languages including Hindi, Tamil, Telugu, Kannada, Marathi, Bengali and Malayalam. The Yahoo Cricket app is also available in six new countries on Android only, including South Africa, UAE, Sri Lanka, Zimbabwe, Pakistan and Bangladesh. Taking the cricket fever up a big notch, Yahoo has created a sizzling high-energy Yahoo Cricket anthem, sung by singer-composer Vishal Dadlani. It’s just out and already cricket fans are putting their spin on the intriguing lyrics! Yahoo Cricket has partnered with BIG FM, which will play the anthem throughout the premier league season as its radio theme. This will be played across all 59 stations of BIG FM in India. No cricket season is complete without high-octane excitement and plenty of drama both on and off the field – perfect fodder for a stand-up comic! 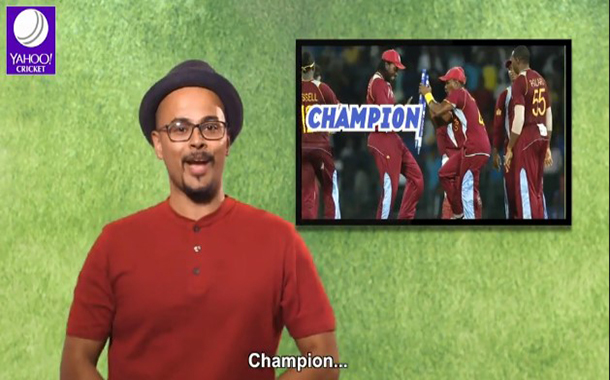 Fans can enjoy ‘Silly Pant of View’, an original, exclusive Web-series on Yahoo Cricket, hosted by stand-up comic Sorabh Pant. He will take on everything cricket in these no holds barred episodes which will be available on the Yahoo Cricket app and website, along with the official Facebook, Twitter and Instagram pages of the app.